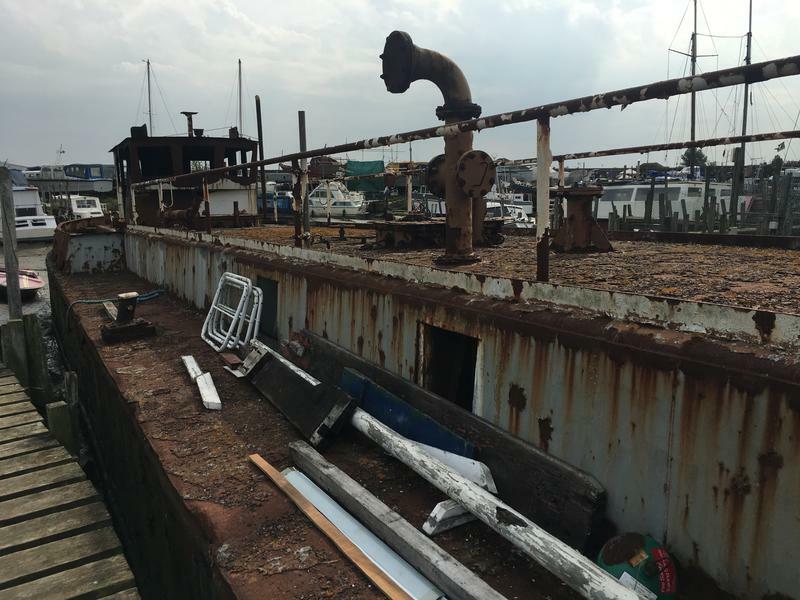 Premier Houseboats are pleased to present Contractor, and ex oil barge in need of complete conversion but offering great space to create a superb home. Contractor has six 23'' by 8' compartments that have been completely cleaned and insulated and are ready for conversion. These compartments also benefit from impressive headroom. and there is also a structural survey from 2009 by a naval architect which confirms what can be removed to create a more open living space. The boat also has a good sized wheelhouse , and further rooms ready for conversion at the bow and stern. The size of Contractor means that there is also good outside space to develop, and overall Contractor offers fantastic potential. 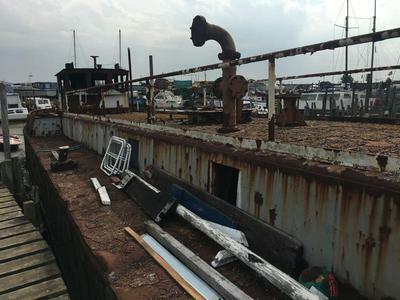 Vessel name: Contractor Vessel condition: Fair Year constructed: 1974 No. of engines: 1 Length over all: 127' Beam: 17' Maximum draft: 5' Hull material: Steel Hull type: Flat Disclaimer Premier Houseboats offers the details of this advert in good faith as it was presented by the seller or his representative but cannot guarantee or warrant the accuracy of this information nor warrant the condition of the described item within this advert. A buyer should instruct his agents, or his surveyors, to investigate such details as the buyer desires validated. The Item described within this advert is offered subject to prior sale, price change, or withdrawal without notice.